Album reviews of Unseen Rain and friends of Unseen Rain albums and articles re: UR artists. Matt Lavelle, Jack DeSalvo, Tom Cabrera – SUMARI: If you are a fan of great improvised & fusion-oriented music, you won’t find a better recorded session than this one from June, 2015. I’ve been reviewing these folks for many, many years now, and most strongly recommend that you lock yourself up in your sound chamber, stoke up whatever it is that “gets you in the mood”, & listen to the full hour set with your headphones on. Songs like the marvelously intricate “The Nature of Mass Events“, though only clocking in a 2:45, are a perfect introduction to the creativity of this trio (Matt playing trumpet, cornet, flugelhorn, pocket trumpet and clarinet; Jack doing mandola, cello and guitars; and Tom on bodhran, tar, riqq, doumbak and bass drum), but the true intricacy of their performance is best heard on longer pieces (9:54) like “Scientific Cults and Private Paranoias“! The open-form freedom, new thing now jazz world of contemporary New York has a 16-member big band that shows us where the music is on a recent release. I’m talking about Matt Lavelle’s 12 Houses and their album Solidarity (Unseen Rain 9945). The band runs through six Lavelle pieces that have each a special melodic mood soulfulness and act as a catalyst for the considerable collective and individual improvisational thrust of the band members.There’s Matt on cornet, flugelhorn and alto clarinet (and conduction), Ras Moshe Burnett on tenor soprano, soprano and flute, Jack DeSalvo on banjo and mandola, John Pietaro on vibes and percussion, Francois Grillot on double-bass, Anais Maviel on vocals, plus soprano and clarinet (Odom), alto and clarinet (Waters), baritone and bass clarinet (Stocker), flute and piccolo (Cherney), bassoon (de Brunner), piano (Forbes), violin (Ortman), cello (Selinger), guitar (Nillson) and drums (Sawyer). In other words a very full band with players who articulate the melodic-harmonic gamut with a special collective sound and can blow. There are some dirge-like threnodies, some sanctified testifying and some blow-outs, all showing a very together Lavelle approach and a group that knows where to go with it all. Ras takes some blistering moments to call the spirits on tenor, Matt shines in his solo moments (dig “Cherry Swing”), but really this is for everybody in the end. And it is a remarkable set, showing us roots and toots, troubled times and resolved transcendence, queueing up and getting there, a gentleness and a fierceness, fragility and strength, all that it takes to keep scuffling but never shuffling. It is fabulous music from a band that I hope is destined to become an institution in the city. They have what it takes and they show it, they let loose and blow the world forward. Lavelle is a trailblazer, a full force, a jazz composer and bandleader of stature, a player of strength and depth. And the band is on it. So very recommended it is!! Grab one. Research into sound is a basic characteristic of the creative trio Sumari. Opportunities for such research are large, and this is for three reasons: curiosity, commitment and creativity of musicians who explore the great opportunities of the mutual combination of instruments. As well as having vast experience of playing in various styles and idioms, all three of them are multi-instrumentalists. 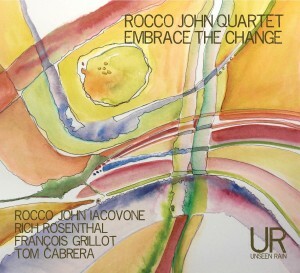 Matt Lavelle plays the trumpet, cornet, flugelhorn, pocket trumpet and alto clarinet, Jack DeSalvo, who is the producer of the album, playing the cello, guitar and mandola, and Tom Cabrera plays bodhrán, tar, riq, doumbek, bass drum and percussion. As their unusual setup the unconventional way they approach the improvisations is adopted from playing with respectable experimenters. Among others Lavelle has collaborated with saxophonist Ornette Coleman, DeSalvo with drummer Ronald Shannon Jackson and Cabrera with singer Julie Lyon. It is a spontaneous collective communication that brings unpredictable results with seven performances making up the whole. They were built without premeditation, and the titles of the tracks were likely added subsequently. The names of these compositions reveal the intention of the musicians, a source of inspiration and philosophical outlook on life and music. Just looking at these titles of the songs creates the illusion that we can penetrate deeper into the personality and preoccupations of these musicians and figure out why and how they create. It inspires the creativity of the listener. Before hearing them, how would you imagine songs bearing the following titles: “Seth Dance”, “Counterparts Are Comparitively Encountered”, “Scientific Cults and Private Paranoias”, “Reincarnational Civilizations”, “Alternate Presents and Multiple Focus”, ” The Gates of Horn “and” The Nature of Mass Events “? Vocalist Julie Lyon has a voice that recalls Blossom Dearie, and also benefits from an air tight band, similar in makeup with Tom Cabrera/dr, Jack DeSalvo/g and Bobby Brennan/b but with the added attraction of trumpeter/clarinetist Matt LaVelle, who adds some nice horn sounds on the cheerful “Strollin’” and alto clarinet on the glistening “Dindi.” The band has a gentle stride going one step at a time on “Every Time We Say Goodbye” and while her voice sounds a bit distant on “Bye Bye Blackbird” and during the loosey goosey “Born to Be Blue,” the symbiosis of the band carries her over the River Jordan into the Promised Land. of contemporary jazz musicians who perform his music regularly. Steve Lacy was a pioneer in adventurously featuring Monk’s compositions long before it was fashionable. Nowadays his recordings of Thelonious’s music have achieved classic status. Yet with the unforgettable melodic and harmonic qualities of his music there is always room for further explorations. It may not be a simple matter to make out of music so well known and widely played something very fresh. Matt Lavelle and John Pietaro have done just that with their album Harmolodic Monk (UR Unseen Rain 9953). The “Harmolodic” reference goes back to Ornette Coleman and his approach, specifically his freedom to go out of the expected key centers or improvisations around chord changes to modulate or introduce notes outside of the usual frame of tonal reference. It’s more than that but for now that will do. Matt and John approach the Monk material freely in this way, so they can stick to a tonality or general chord sequence and they freely can go outside of it, and that’s what they do and do well. percussion and hand drumming give the music an additional sound that varies the proceedings nicely. an open-form way. I am impressed with the outing. I would love to hear them do something like this with a rhythm section next time, but the music speaks for now very articulately without it. Matt and John have their full artistry on display. The results willabsorb and move you. Very recommended listening! Perhaps the most interesting element in this recording is the ‘live in studio’ nature lending a great deal of atmosphere and beatnik cafe society vibe to the affair. Well, actually, I’m assuming it was thus live ’cause it sure as hell sounds it—if not, if there are overdubs and such, then Tom Tedesco possesses some supernatural talents as an engineer. Singer Julie Lyon exhibits a large element of the happy-go-lucky in her swinging recitations, perhaps most vividly shown in her take on Dindi, about the snappiest version I’ve heard yet in a song that’s been undergoing quite a renaissance in revisitations recently. Then there are the laid back, casual, way hip quotations from the quartet backing her, sounding as though just returned from a break in the back alley where the subject of ‘discussion’ was muggles, Jack Daniels, and maybe a nip or two of Romilar. I mean, everything here is so strongly reminiscent of one of those way cool Shag (Josh Agle) paintings that I practically hear the painter’s vivid mono- and multi-chromatics and urbane exotica in the CD. Then come all the off-the-cuff incidentals the band adds in—catch especially Matt Lavelle’s throaty bass clarinet fog in Every Time We Say Goodbye, so husky it’s almost aromatic—alongside Lyon’s friendly counter-culture intonations, a college girl matriculating in Hip 101. Bobby Brennan has the band nailed in with his solid bass work, and Tom Cabrera’s drumming evokes mental images of Maynard G. Krebs standing by, fingers snapping, grin wreathing Fu Manchu’ed face, while Jack DeSalvo’s guitar is a mercurial presence, dashing in for a doo-wop quotation, then sliding back out again. Lavelle, though is oft striking, as present and in the pocket as Lyon, he blazing (as in the trumpet work in Too Damn Hot) while she smile-sings seductively, caught between wanting to gambol in the sun, grab that martini on the sidebar, and/or wink at the guy who just strolled in, tan, lean, and mysterious. All or Nothing at All undergoes a modern art treatment, pointillistic and fragmentary, Lyon holding everything together while the guys get jagged and rambly. Then she clarifies and espanola-izes Tom Waits bizarre Temptation, turning it from a near-inchoate schizophrenic blues into something the Asylum Street Spankers would’ve produced. And if I pen any more paeans here, I’m going to have to check into Keroauc Rehab and have my typewriter re-tuned, so why not just glom the CD and just dig what’s goin’ down, gator. Former student and mentor, guitarists Joel Shapira and Jack DeSalvo, reunited recently via the internet, and soon found themselves in a New Jersey recording studio. The result is Inherence (Unseen Rain Records), an intriguing and luminous set of guitar duos which Shapira –sans DeSalvo–will celebrate on February 5th at the Black Dog Cafe in St. Paul’s Lowertown Arts District. Standing in for DeSalvo (unable to get to Minnesota from the East Coast) will be Minnesota’s own guitar guru, Dean Granros. St. Paul native Joel Shapira studied at the Berklee College of Music in Boston and at the Mannes School of Music in New York City, as well as with Tal Farlow, Joe Pass, Sharon Isbin, and Anthony Cox. Active in the Twin Cities for the past 16 years, he leads his trio and quartet, provides the instrumental half of the popular duo, Charmin (Michelle) and Shapira and coleads their expanded Charmin and Shapira and Friends. He’s led the ensembles Triplicate and Pooches Playhouse and frequently appears with Dean Magraw, Pete Whitman, John Devine, Vic Volare, and a who’s who list of area vocalists. Joel’s previous recordings include two releases with Charmin Michelle (Pure Imagination, Dawning and Daylight), his quartet debut (Open Lines) and two albums with Triplicate (Triplicate, Day and Age). Jack DeSalvo picked up the guitar at age 8 and was playing in rock bands by his early teens. Soon he discovered the blues and picked up mandolin and harmonica. But hearing a recording of the Mahavishnu Orchestra turned him onto modern jazz, particularly Coltrane and early Miles, and Jack began to study classical guitar and composition as well as improvisation. After playing around New Jersey clubs for a while, he enrolled at the Berklee College of Music and studied George Russell’s Lydian Chromatic Concepts. Returning to New York, he continued composiing and began studying with Bill Connors (Return to Forever), who encourage him to meld his classical and jazz approaches. Jack built his international reputation as a member of D3, Ronald Shannon Jackson’s Decoding Society, and in duo with vibist Arthur Lipner, playing electric and acoustic guitars. One of the Midwest’s most accomplished guitarists, Dean Granros co-founded of one of the Twin Cities seminal experimental jazz groups, “The Whole Earth Rainbow Band” in 1970, and in 1974 he created and wrote for “Lapis,” an ensemble dedicated to exploring composition with structured improvisation. From 1985 through 1993, Dean joined former Weather Report drummer, Eric Kamau Gravatt, in the high energy post-bop band, Kamanari. He co-founded the progressive and virtuosic improvising trio F*K*G in 1995 with saxophonist Scott Fultz and drummer Dave King. In 2002, he joined George Cartwright’s band Curlew, and about a year later began playing weekly at the Artist Quarter with the exploratory quartet, How Birds Work. Granros continues to perform locally with groups such as Starry Eyed Lovelies (with Mike Lewis, Anthony Cox and Dave King), FKG and How Birds Work. His ensemble “AntiGravity” explores new directions in improvisational composition. That afternoon session produced 11 tracks — four Wayne Shorter compositions (“Fee-Fi-Fo-Fum,” “House of Jade,” “Virgo” and “Nefertiti”), Ralph Towner’s “Celeste,” the great standard “Just Friends,” three DeSalvo originals, and two spontaneous improvisations from the duo. DeSalvo’s “Instance” opens the set, a rather insistent and virtuosic display with a more tender midsection. Jack’s “Naiads” follows with a more defined melody, a more conversational collaboration as if friends are swapping life stories. The title track has a more jagged rhythm– a more animated conversation filled with playful jokes and more serious recollections, equally shared and magnificently played. Of the Wayne Shorter pieces, “Fee-Fi-Fo-Fum” is alternately driving and melodic; “Virgo,” “House of Jade” and the closing “Nefertiti” are luxurious meanders for two. “Just Friends” picks up the pace with an energetic exchange, while Ralph Towner’s “Celeste” is spacious and songful, one line bleeding into the next like watercolors. The two spontaneous compositions, “Joja” and “January East” offer the most interesting harmonies and rhythms of the set, a pair of experiments that highlight the mutual trust and respect among these guitarists who show no fear of the unknown, just a willingness to challenge each other; ultimately the listener accepts the challenge and hangs on for the ride. Inherence is defined as a “state of being a natural or integral part of something” or “the state of being present, current existence.” The musical reunion of Jack DeSalvo and Joel Shapira is indeed a state of being present, in the moment, each artist essential to the existence of each note. The Black Dog offers an intimate environment well suited to the music of Inherence, and the substitution of Dean Granros for Jack DeSalvo is well suited to the interaction with Joel Shapira. This pairing will naturally alter the interaction, creating new music.